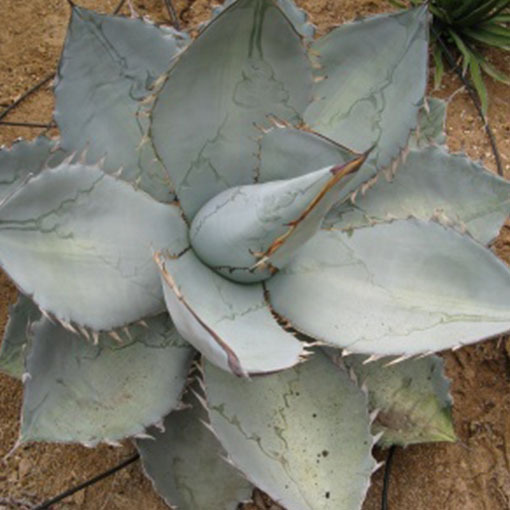 This agave that has individual rosettes to 30 inches wide by 2 feet tall. The 3 to 4 inch wide leaves are widest toward the middle, slightly guttered on the upper surface, and have attractive and varied contrasting leaf color. When plants mature and flower, often during spring, the greenish-purple flowers are borne on 8-13 feet unbranched spikes. Plant in full sun.